Roman Reigns was victorious in the main event at WWE Fastlane, securing his main event spot at WrestleMania. Fastlane. A few shining moments floating in a sea of mediocrity and questionable booking. I would describe WWE Fastlane as squandered potential. The crowd were probably the worst part of the show and they made the show seem a lot worse than it probably was. It was pretty bad at times but the lack of enthusiasm from Memphis really hurt some of the stand out moments. I think after a pretty average opener and then about an hour of “Raw” they lost interest and it took Rusev and Cena to really get them to make some noise. Speaking of the opener, what the hell is Kane doing pinning Dolph Ziggler in 2015? The actual finish was pretty clever when compared to the rest of the match but how much better would it have been if Rollins was the one to position Ziggler for the jumping knock out punch? Seth picking up some heat before Orton returning was pretty cool. I think Rollins really sold the comeback well. How much better would Ziggler vs. Rollins have been on this pay per view instead of a lazy six man tag? Instead of booking that match on Raw over and over again, they could have built to a solid singles match that would have done wonders for both men, built on their performance at Survivor Series and most likely stole the show. Cody Rhodes vs. Dustin Rhodes was a match many wanted to see. Unfortunately WWE missed pulling the trigger on the feud when the Rhodes family were in the spot light. Instead we were treated to Cody’s transformation into Stardust. Now, to give this angle some credit, I quite like the addition of the “lost identity” and being lost in the gimmick. I think the crowd interaction, Goldust’s mannerisms and JBL equating the face-paint to a lucha libre mask really added a different spin to the usual brother vs. brother feud. The in ring action wasn’t as good as it could have been but the real let down was the finish. It completely killed any momentum the match had built, the crowd were confused and it looked like a botch. It may have been a botch. I don’t know. But it didn’t help anyone. Cody’s promo after the match and the beat down did a lot to regain some of the heat the angle needs and I hope they can improve going into the match at Wrestlemania. Cesaro. Oh Cesaro. I like both Tyson Kidd and Cesaro but Cesaro is just so much better than the WWE’s neutered tag team division. The match was entertaining enough and i’m happy Cesaro and Kidd won the tag team championship. However think about where Cesaro was this time last year compared to now. Potential squandered. Pissed away. This time last year Cesaro had just beaten the WWE World Heavyweight Champion Randy Orton on Smackdown and was in the Elimination Chamber match for the championship. Cesaro went on to win the Andre the Giant Memorial Battle Royale. And look where he is now. I cannot adequately describe how much they fucked up with Cesaro. The build up to Sting vs. HHH has been okay. I think the constant claims of it being a dream match and one that we all wanted to see are a little much but the storyline of it being WWE against WCW again is pretty cool. However, the fact that Sting didn’t say anything last night really took the wind out of their sails. HHH outlined why he thought Sting was back. The issue is that without an adequate rebuttal, that one sided story of why Sting is back makes him look petty. We don’t know why Sting is back, it isn’t for the reasons HHH is stating because he’s the heel. He had to say something. He had to refute HHH’s claims but having Sting say nothing and just point to the sign with the bat really took away from the build. HHH and Sting aren’t natural rivals so the build up is important and tonight was a misstep unfortunately. Paige and Nikki Bella had a lot to live up to following NXT’s Fatal Four Way match for the Women’s Championship. Unfortunately they just live up to the high standards set by the ladies in developmental. This was another match where the finish completely blind sided the crowd and robbed them of all enthusiasm. A weak pull into the turnbuckle and a roll up for the win was lazy and both ladies deserved better. Speaking of two individuals that deserved better. Barrett and Ambrose. I’m okay with Barrett trying to run away from Ambrose. I’m okay with the heel taking the cowards way out at times but the finish, once again, really soured the crowd. We didn’t want to see a DQ finish due to a competitor not breaking on the count of five. That’s lame. It would have rather Barrett got counted out, at least he would have been proactive in the finish and got some heat! Instead the referee got the heat. Hopefully the rematch is better because both guys can work, they could put on a great match for the Intercontinental Championship. Bray Wyatt delivered one of his better promos in a long time. Bray Wyatt has the tendency to ramble without direction and confuse people with his promos. Tonight Bray Wyatt delivered a solid promo which was consistent throughout and one that followed the kayfabe logic surrounding the Undertaker. The Undertaker vs. Bray Wyatt is something that could have been good at one time but I honestly think the Undertaker is too old. Also, Bray Wyatt needs to win the match to really take the next step up and I don’t see the Undertaker returning to just lose again and disappear. It’s a tricky situation. Rusev and Cena, the first big match of a two match pay per view. Both men went out and put on a solid match. Rusev looked like a million bucks. I think Cena did a lot of good for Rusev and the crowd really came alive for the match. In stark contrast to the head scratching finishes that plagued the night, the finish for this match was really well done. Rusev absolutely wrenching back on Cena as he had him in the accolade and making him pass out did a lot of good for Rusev. It added a lot of presitge to the United States Championship and it genuinely made me excited to see a rematch at Wrestlemania. Brace yourselves for the inevitable John Cena victory. It’s coming. I don’t think it will do much damage to Rusev though because from this point forward he is a man who made John Cena tap out. The first to do so in ten years. I can’t quite believe I’m praising John Cena. Daniel Bryan vs. Roman Reigns. I was in two minds about this match. There were times when it was pretty predictable (especially the finish) but there were times when it was really vicious. I think the mandate for this match going out was for it to really get Roman Reigns over. A hard fought match against a technically superior opponent. Both men worked snugly tonight and the stuff nature of the fight really put across the importance of the match. Daniel Bryan made Roman Reigns look great. He dished out a beating that Reigns has never taken before. Unfortunately the overall story line for the match followed a typical John Cena match. Reigns took a beating, he got some signature offence in and then hit his finisher for the win. I think the “superman” nature in which Reigns is being booked is really hurting him. Even the lethargic Memphis crowd has their fair share of people booing Reigns. I think after such a hard fought match the finish needed to be equally visceral and hard hitting. Bryan hitting him with every finisher only for Reigns to kick out and hit one spear for the win undermined the good work both men put in during the course of the match. The finish was indicative of everything that is wrong with the Roman Reigns push. It was predictable and lazy. Everyone saw the spear coming. Everything is being done to protect him and it’s obvious that he isn’t ready. It’s obvious that he was chosen. It’s obvious that matches are being booked to protect him. His track record is evidence enough. The main event of Wrestlemania will be Reign’s third pay per view singles match. The roster has some burgeoning young talent. There are stars that are ready to be made, ready to carry the company and ready to take things to the next level but WWE’s booking and unwillingness to take that step is hurting them. Look at the roster they have: Rusev, Daniel Bryan, Seth Rollins, Dean Ambrose, Roman Reigns, Wade Barrett, Dolph Ziggler, Cody Rhodes, Cesaro. That’s not even mentioning the wonderful talent ready in NXT. Every one of them is ready to take things to the next level but are held back by WWE’s lack of courage to take the shot. Bizarrely WWE’s biggest problem for the longest time was not building young talent. Currently their problem is the fact that they are forcing talent down our throats that are simply not ready. 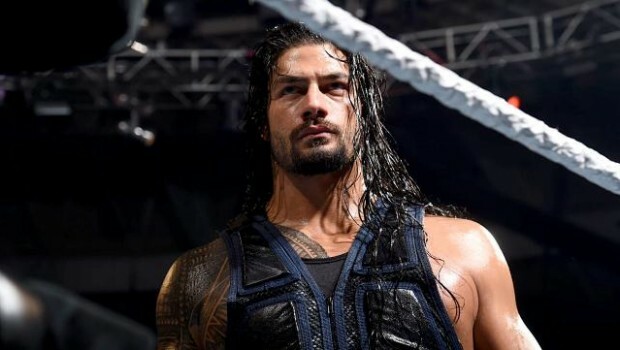 Roman Reigns will be great in a few years but him being forced to the top now is hurting him. He just isn’t ready. His potential may be being squandered by pushing him too soon. The biggest David vs. Goliath match up has been squandered by not putting Daniel Bryan in the main event to face Brock Lesnar. The WWE needs to make the transition. Vince McMahon needs to step away sooner rather than later. If NXT is any indication, fresh eyes and fresh minds will do wonders for the WWE and their talent who are currently victims of incompetence from the very company they work for. Thanks for reading our WWE Fastlane review. I’d love to hear your thoughts! Agree or disagree with any of my points? Post here or come to our forums to discuss!